The most anticipated RTS of the year! Wish Interactive just launched the Global English version of Royal Chaos here in the West, but that's not stopping it from announcing more mobile games in different genres. 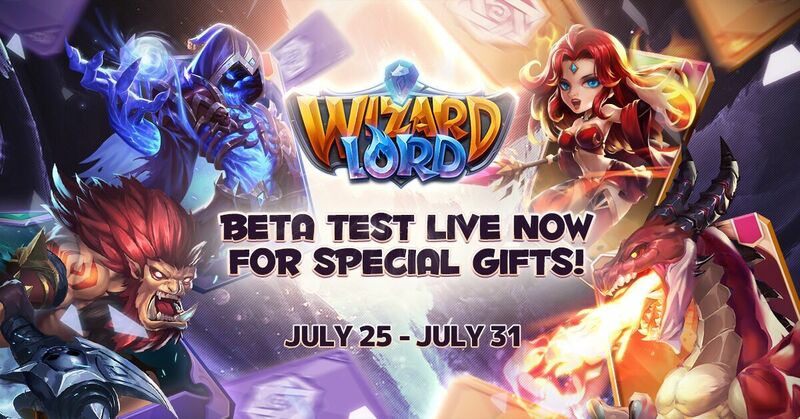 With an impressive debut at E3 2018, the latest fantasy RTS game - Wizardlord from Wish Interactive, will be holding "TF" and Closed Beta tests from Wednesday, July 25 at 6pm (UTC-7), to Monday, July 31 at 6pm (UTC-7), for 7 days. As of today, those who are interested can pre-register via the official website for a chance to get access and receive exclusive rewards. Wizardlord is what would be considered a both "orthodox" and “innovative”RTS game. It perfectly blends the elemental affinities of Spells and the reinforced effects of Units. Over 35 kinds of Units and Spells cards are attainable for tactical deck building. At any one time, a player can summon up to 4 Units and 8 Spells, by costing certain energy and mana in a real-time duel. Wish Interactive has also prepared exclusive rewards for those who supports the CBT. Stay up to Wizardlord latest updates from official website or by following Facebook page or Twitter. Wizardlord is the latest fantasy RTS mobile game from Wish Interactive, powered by Unity engine to create a Cartoon- style graphic and special effect. Wizardlord is set in a chaos decades, players will begin their adventure as a mage apprentice and take on intense real-time battles to become the ultimate Wizardlord.